Objectives: To pilot the use of a range of complementary risk communication tools in simulated general practice consultations; to gauge the responses of general practitioners in training to these new consultation aids. Design: Qualitative study based on focus group discussions. Setting: General practice vocational training schemes in South Wales. Participants: 39 general practice registrars and eight course organisers attended four sessions; three simulated patients attended each time. Method: Registrars consulting with simulated patients used verbal or “qualitative” descriptions of risks, then numerical data, and finally graphical presentations of the same data. Responses of doctors and patients were explored by semistructured discussions that had been audiotaped for transcription and analysis. Results: The process of using risk communication tools in simulated consultations was acceptable to general practitioner registrars. Providing doctors with information about risks and benefits of treatment options was generally well received. Both doctors and patients found it helped communication There were concerns about the lack of available, unbiased, and applicable evidence and a shortage of time in the consultation to discuss treatment options adequately. Graphical presentation of information was often favoured—an approach that also has the potential to save consultation time. Conclusions: A range of risk communication “tools” with which to discuss treatment options is likely to be more applicable than a single new strategy. These tools should include both absolute and relative risk information formats, presented in an unbiased way. Using risk communication tools in simulated consultations provides a model for training in risk communication for professional groups. Different ways of “framing” information have also been shown to influence the perceptions of risk and decisions of patients.2–4 For example, relative risk formats are more persuasive than absolute risk information.5 6 although in isolation either method may mislead. Presentation formats also strongly influence the decision making of doctors.7–9 A range of complementary formats for presenting information should be available.5 10 including information on both relative and absolute risk and using descriptive, numerical, or graphical formats. Most attempts to improve risk communication have involved introducing single new approaches,1 but these may be too narrow for routine practice. In practice, professionals must be able to tailor the “sharing of information” to the needs of the individual patient.11 We developed risk communication tools and tested them in focus groups of general practice registrars. The aim of this study was to explore the registrars' responses to these innovations. All general practice registrars attending the vocational training sessions were invited to take part in the study. The registrars were either starting their training or approaching its completion and had a range of clinical experience to bring to the workshops and discussions. The focus group, including simulated patients, discussed the consultations. The consultations were then repeated, but with different doctors and using a different risk tool. In this second consultation the doctor was provided with risk information regarding the treatment choices available, taken from systematic reviews of the topic in question.19–21 Where specific information was available to assess the risk to the individual patient this was provided (for example, personal or family history of ischaemic heart disease or breast cancer affecting risks and benefits of hormone replacement therapy). After a further group discussion a third consultation was undertaken using graphical (histogram) presentation of the same data (see figure for example) This process thus allowed each small group to witness individuals consulting with different risk tools for the same disease topic using the same simulated patient. Participants gave their reactions to the process in a semistructured format, which explored their views on the extent to which information was helpful, how much data was perceived to be helpful, how different data formats seemed to have influenced the consultation, and the feasibility of implementing such approaches across the diverse range of clinical conditions that are encountered in general practice. The focus groups were audiotaped for subsequent transcription (60-80 minutes for each session). The simulated patients were asked to contribute their views about the consultations, the risk communication process, and their perceived involvement in the decision making process. Where inconsistencies (of views but not of factual information) were noted among participants these were fed back for clarification. The transcripts of discussions were examined by all three authors to identify emergent themes,12 which were then agreed by discussion. All data were then categorised independently by two researchers (AE and GJE), again with agreement over classification achieved by discussion. The results were checked with the simulated patients and three of the course organisers, and interpretation or emphasis was modified where required. Forty seven clinicians were involved in the discussions. Thirty nine registrars attended one of four vocational training sessions (one registrar attended twice), together with two course organisers for each group. The focus groups discussed the context of the consultation, problems with finding and using data, comparing different risk tools, application in practice, and the outcomes of risk communication. These themes are amplified and illustrated below with data from the focus groups. It depends … on the type of patient … and their background … unless you've got a steady scientific upbringing in school, it doesn't mean anything to them and certainly I think I know a lot of people who would be confused …. I think you've got to choose your approach. The registrars said that data are often not available in a “digestible” or relevant form for the practising doctor, or that doctors do not have sufficient time to access them. This may be compounded by patients accessing information from the internet or elsewhere and then presenting the doctor with unfamiliar information. It's very dangerous to use relative risk at all, I don't think that it should be used. There are lots of mistakes that have happened from lots of literature because the people are using relative risks and they shouldn't have, and it's just very misleading … as in 25% of what? Related to this there were concerns about the use of data to channel patients' decisions, prompting ethical dilemmas about whether risk data may enhance or compromise patient autonomy and perceived beneficence. This was not always the case, however, and it was noted that poor explanation of risk information may be counterproductive. Even with good explanation, information overload can occur, and some doctors preferred to discuss risks “qualitatively” rather than to become snared in detail. It is easier because you don't have to be saying the actual absolute risk is this, with HRT or without HRT. I think that our consultation proved that a picture speaks a thousand words; the graph was remarkably useful—that was my impression. The patient was much better being able to see the graph. Graphical presentations allowed the two participants to work through the consultation task together and brought them closer together physically to look at the data. Participants recognised that some patients may not find graphical information very helpful and that the risks would need to be conveyed in alternative formats, such as chances or betting odds. One of the pill companies sent everybody plastic cards and it just had diagrams, one with an ambulance and that was the risk of “RTA” and … you can see your risk from going on the pill was that and your risk of getting RTA was that. And that kind of information was very handy. Doctors felt it could be helpful to have a resource pack of risk information in a variety of formats about common problems in general practice, such as using the contraceptive pill, the benefits and disadvantages of antibiotics for upper respiratory tract infections, lipid lowering treatment, hypertension, and the risks of common operative procedures. Participants also felt that wider use of patient held records and information leaflets for patients would be helpful. Doctors said that communication of risk could reduce their uncertainty and increase their satisfaction with the consultation. Both doctors and patients thought that effective communication of risks should allow patients to perceive risks, lead to greater understanding of choice and of the risks and benefits of different options, decrease uncertainty about choice of treatment, and lower anxiety about the perceived risks of treatment. They warned, however, that there could be information overload, poorer overall communication between doctor and patient, or heightened anxiety for the patient. These general practice registrars generally supported the use of different approaches to communicate risks, tailoring them to the information needs of individual patients. This work adds to previous attempts to develop risk communication, which have generally used single new strategies.1 We used three specific clinical scenarios but the risk tools could be applicable in many others, especially where genuine choices of treatment need to be made. The methodology used here capitalises on the interaction within a group to gauge the views of individuals when among their peers.13 Caution is required in interpreting and generalising from this study, however, because these views on risk communication may be specific to this sample of mainly inexperienced general practitioners. Using simulated patients to develop skills in gathering information from patients can provide a useful way of examining new support materials for a consultation.22 The process used in this study could provide a model for training in communicating risks. Most participants noted that the lack of data and difficulty in keeping up with information on risk were major hindrances to communicating risks. When data are available their quality, impartiality, and relevance to everyday practice are not always clear. Convincing doctors of the validity and relevance of data seems therefore to be important. The registrars said that graphical presentation of data was quick and probably the most useful method. It allows doctors to convey the concepts of absolute risk and relative risk without having to label them as such. It also avoids the need to explain the detail and the range of options available and avoids the problem of using relative risk in isolation. Providing doctors with information about risks and benefits of treatment options encountered in general practice is likely to help them communicate with patients. Tools for communicating risks should include information on both absolute and relative risk. Graphical presentation of information is one way of achieving this and has the potential to improve the efficiency of the primary care consultation. We are grateful for the commitment of Pat Oliver, Iris McKenzie, and Allan Thomas, who were the simulated patients; for the secretarial work of Claire Darmanin and Diane Thomas in transcribing tapes; and for comments on the draft of this paper by Michel Wensing, Richard Grol, Roisin Pill, and Trish Greenhalgh. Contributors:All three authors planned and carried out the study and were involved in the analysis. This paper was primarily written by AE with comments from GE and RG. All authors are guarantors.
. Compliance to health recommendations: a theoretical overview of message framing. Health Ed Res 1988; 3: 161–171.
. Shaping perceptions to motivate healthy behaviour: the role of message framing. Psychol Bull 1997; 121: 3–19.
. The influence of framing on risky decisions: a meta-analysis. Organizational Behavior and Human Decision Processes 1998; 75: 23–55.
. Communicating the benefits of chronic preventive therapy: does the format of efficacy data determine patients' acceptance of treatment? Medical Decision Making 1995; 15: 152–157.
. The framing effect of relative and absolute risk. J Gen Intern Med 1993; 8: 543–548.
. Absolutely relative: how research results are summarized can affect treatment decisions. Am J Med 1992; 92: 121–124.
. Influence of method of reporting study results on decision of physicians to prescribe drugs to lower cholesterol concentration. BMJ 1994; 309: 761–764.
. Same information, different decisions: the influence of evidence on the management of hypertension in the elderly. Br J Gen Pract 1996; 46: 661–663.
. Impact of an interactive video on decision making of patients with ischaemic heart disease. J Gen Intern Med 1996; 11: 373–376.
. Communication about risk: the responses of primary care professionals to standardising the language of risk and communication tools. Fam Pract 1998; 15: 301–307.
. Some issues arising in the systematic analysis of focus group materials. In: Barbour R, Kitzinger J, eds. The use of focus groups in health research. 1st ed. London: Sage, 1997: 144–155.
. Overview of focus group research. Qual Health Res 1995; 5: 414–420.
. Shared decision making in primary care: the neglected second half of the consultation. Br J Gen Pract 1999; 49: 477–482.
. Towards a feasible model for shared decision making: focus group study with general practice registrars. BMJ 1999; 319: 753–756.
. The effects of providing preoperative statistical anaesthetic risk information. Anaesth Intens Care 1993; 21: 799–805.
. Effect of patients' expectations of benefit with standard breast cancer adjuvant chemotherapy on participation in a randomised clinical trial: a clinical vignette study. J Clin Oncol 1990; 8: 1476–1482.
. Patients' preferences for risk disclosure and role in decision-making for invasive medical procedures. J Gen Intern Med 1997; 12: 112–117.
. 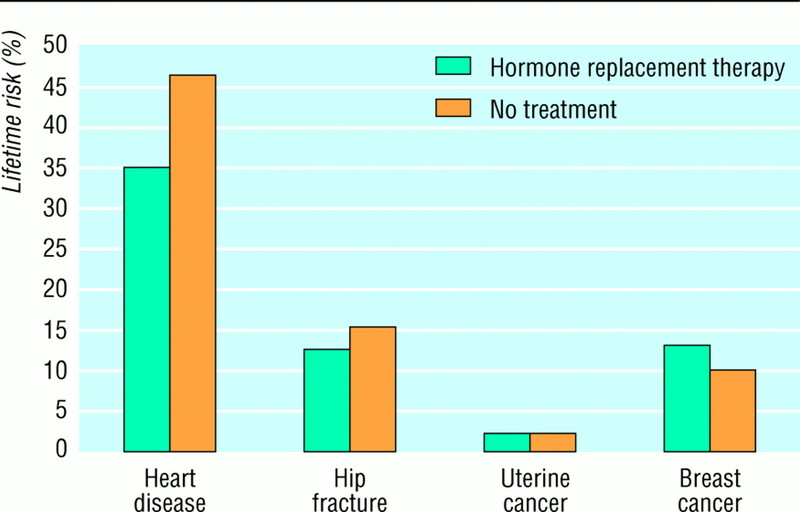 Hormone therapy to prevent disease and prolong life in postmenopausal women. Ann Intern Med 1992; 117: 1016–1037.
. Anticoagulation for stroke prevention in chronic non-valvular atrial fibrillation. Vancouver: Office of Health Technology Assessment, Centre for Health Services and Policy Research, University of British Columbia, 1995. Benign prostatic hyperplasia. Effective Health Care 1995; No 2: 1–16.
. Potential of using simulated patients to study the performance of general practitioners. Br J Gen Pract 1993; 43: 297–300.
. Communication about risk: diversity among primary care professionals. Fam Pract 1998; 15: 296–300.